So says Lance Roberts (http://streettalklive.com) in edited excerpts from his original article*. So, how do you tell when there is a seasonal change? In life it is fairly easy. The retail outlets pretty much tell you a change is coming by swapping out their inventories and having seasonal clearance sells. Or, you could still make a pretty good guess that summer was ending and fall was approaching due to cooler temperatures, leaves turning colors and days getting shorter. The markets, like the weather, can also provide clues as to the season of the economy. As the economy heads into the depths of a recessionary cycle the markets generally begin their bottoming process in anticipation of a recovery coming in the not too distant future. 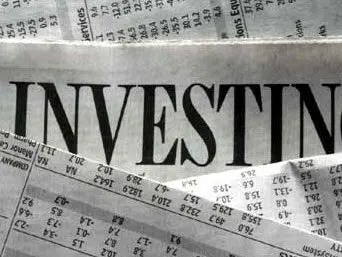 During this bottoming process finance, technology and cyclical stocks tend to perform better as the market starts anticipating the areas that will most benefit from the thawing of an economic winter. 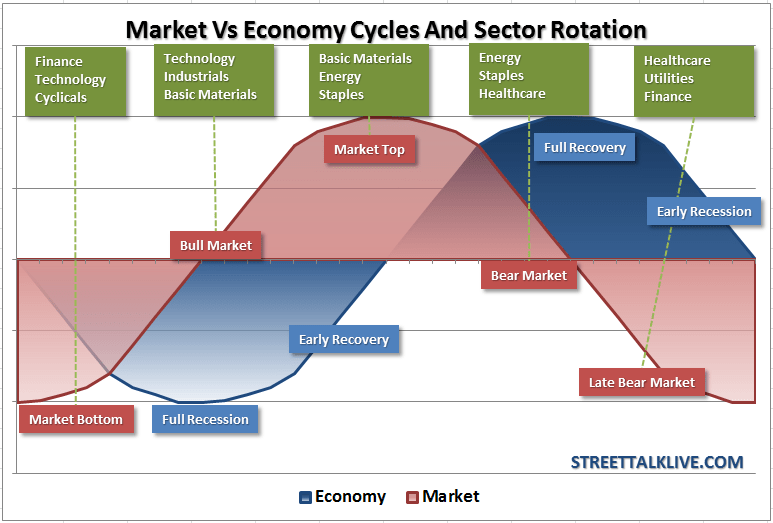 As the economy begins to thaw and the “green shoots” of a recovery start to show, the markets begin to shift into a full-fledged cyclical bull market. Money flows now shift from finance and cyclical related industries to the areas that are benefiting the most from the economic recovery such as industrials and basic materials and continues to include technology. As the spring warms to a full recovery as the economic recovery heats up and becomes more mature, the markets began to shift to recognize that all good things must come to an end. Now the markets shift their focus from early economic recovery beneficiaries to areas that are benefit from a peaking of economic growth such as energy and staples and early defensive movements into healthcare. Finally, as the economic summer begins to fade, the bloom falls off the market as it moves into the later stages of the bear market. At this juncture money moves into the areas that are the most “defensive” from economic drags. Regardless of what happens in the economy, consumers will still have to pay for healthcare and utilities. Finance, technology and the areas most economically sensitive at this point are being hit hard as expectations adjust for a shortfall in earnings potential and potential overvaluations are brought back into line. As the fall season of the market begins to shift toward full winter, money begins to look toward to the finance sector as an early beneficiary to end of the economic downturn and the inevitable repeat of the market life cycle. That is the question that we need to answer. There has been a lot of debate over where we are in the economic cycle. As you know we have been proponents of the fact that we are headed into a recession most likely by early 2012. However, if the market cycle is currently leading the economic cycle, then what are we to learn from the current levels of performance from the underlying sectors? 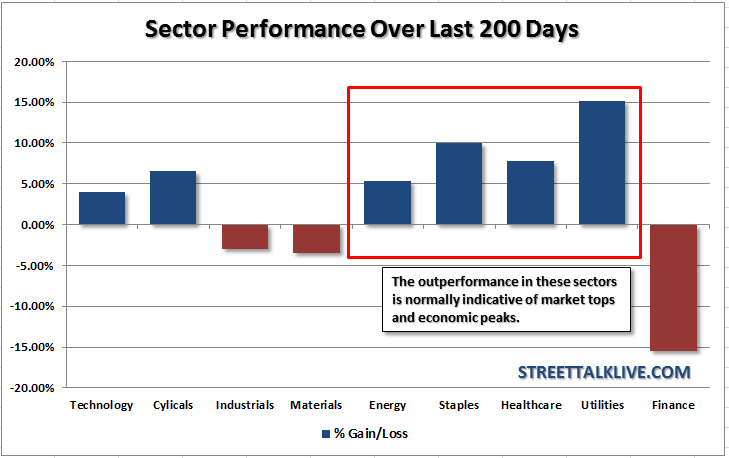 According to the performance of nine sectors that make up our analysis over the last 200 days, the sectors that are leading the charge are the very ones that are normally indicative of a cyclical bull market peak: energy, staples, healthcare and utilities. Historically, these have been the typical beneficiaries to money flows as markets and the economy migrate toward their current cycle peak. Therefore, this technically would put the markets into the “fall” season which would correspond with “market top” and “full recovery” in our first chart above and aligns with our analysis of current economic weakness going forward. If…[we are, indeed,] in the “fall season” then the current market action is telling us that it is time to pack away the summer allocations and break out the winter coats to hunker down for what may be a chilly 2012. Next Platinum is Downright "Cheap" Relative to ALL Other Precious Metals! Have You Any in Your Portfolio?